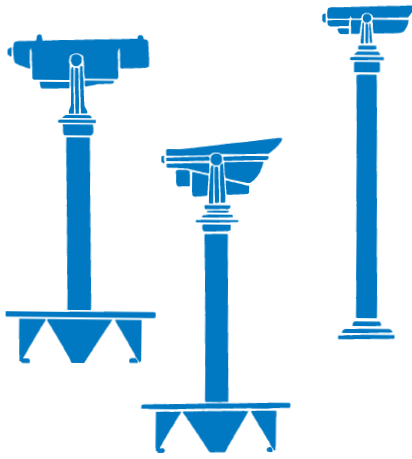 Viewer Construction - SeeCoast Manufacturing Company Inc.
Our coin operated Telescopes and coin operated Binoculars are constructed of rigid aluminum alloy. They are powder coated for maximum outdoor durability. All internal parts are brass and stainless steel. Optical interiors are anodized and sealed against corrosion. Precision ground lenses and prisms manufactured to our specifications are hard coated with front and rear lenses protected by tamper-proof optically flat surfaces. All of our interior and exterior components have been proven to be virtually indestructible to the elements year after year in the harshest of environments. These units will stand up against extreme temperatures and all weather conditions. All of our SeeCoast viewers require no batteries or electricity of any kind, making them last indefinitely with minimal maintenance. At SeeCoast, we have built our business the way we build our Telescopes and Binoculars-based on proven reliability and profitability since 1960. We realize that “down time” means money lost. We guarantee the highest standards of durability and minimum upkeep of anyone in the industry. SeeCoast would like you to join our satisfied customers from around the world!